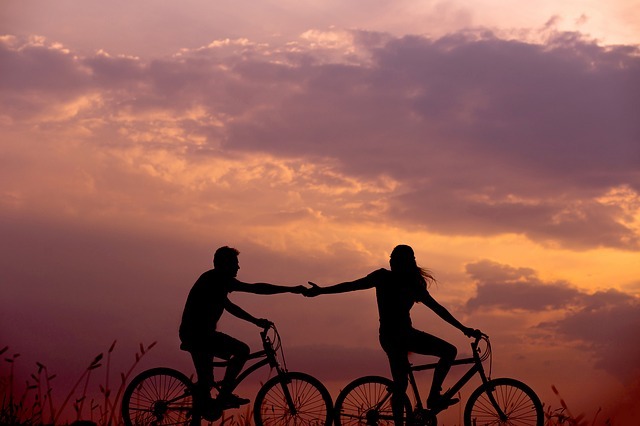 If you are someone who loves the outdoors, cycling is one activity that you would definitely want to engage in. Cycling is not only an environmentally friendly option but also gives you plenty of exercises, while you take in the beauty of the outdoors. Cycling long distances is not a feat that all can achieve, but if you are willing to try, you will have an exhilarating experience. When going on any kind of journey, being well prepared is always essential, and is something that you should account for. Here are seven mishaps that can take place during your cycling journey, with solutions on how to effectively manage them. A flat tire can happen to anyone and at any time. No matter how much care you take of your bike, a flat tire is bound to occur at some point in time. When on longer journeys, having a flat tire can seriously affect the route that you can take, and can impact your entire trip. As they say, prevention is always better than cure. If you are planning an extended trip, checking your bike beforehand is incredibly important. Start by checking the tire pressure and seeing whether the air is filled properly in it. When on your trip, carry a small portable pump so you can take care of any air pressure issues. If you do have a flat tire during a long trip, using a bonding mix like Fix A Flat is a good way to seal the puncture and take care of it at the earliest. This, however, is only a temporary solution, and replacing your tire at the earliest is important. Any amount of cycling is bound to cause a certain amount of fatigue, especially with regards to your muscles. While cycling, you are burning calories at a rapid pace, which means that your body needs significantly more power to get through your entire ride. Eat well before your trip and ensure that you go a little over your calorie intake. Make sure that you are eating foods that are healthy since junk food won’t be able to give you the nutrition that you need. Carry some high-calorie foods with you and plenty of water during your trip since you will need to keep your energy levels high. If you start to feel fatigued, take a break and rest for a bit. During this time, try to eat as much as you can to regain your energy. Don’t forget to also stay hydrated during this time. You may have a route in mind that you want to take, but losing your way is incredibly common, especially in mountainous trails and territory that you are not familiar with. During this time, it is important that you keep a clear head and don’t panic, because, with the tools available, you can easily find your way back. Technology can be your best friend in this regard. Make sure that you have Google Maps downloaded on your phone to see the best routes to take. Additionally, carry an actual paper map along with you that highlights the routes that you can take. If you do lose your way, bust out your GPS and let it show you the right path to take. If your phone is out of network range or out of battery, use the map that you carried to see where to go. An accident can happen at any time when on your trip, and it is essential to stay prepared during this time. Because it can be quite overwhelming during this time, having the tools on you to help can be a huge relief in these situations. Make sure that you have the numbers of all the essential officials that you would need. This includes the number of the police, as well as an ambulance or hospital that is close to your trail. Keep an identity card on you while riding that includes information about your address and blood group. Immediately call for help depending on the kind of accident that you have been in. If you are traveling with someone, inform them that you have these numbers stored on your phone that you can contact. If the accident was caused by someone else, you can seek the help of a personal injury lawyer during this time. Brisbane Cycling Lawyers Murphy’s Law is one firm that specializes in offering relief to those who have been in any kind of accidents that weren’t their fault. If you stopped for a while only to find your bike missing once you get back, you may need to cut your trip short and resort to alternative measures. Make sure that you are parking your bike in a safe spot and are using a lock that is hard to break. Contact the police officials at once and inform them that your bike was stolen. You may need to give a few details about the bike, your location and yourself during this time. When on your trip, you may need to carry a few things along with you during your trip. Having the right storage becomes important during this. Carry a good backpack along with you to fit in all your essentials. This includes food, water, a change of clothes, your phone, a map and any other essentials that you may need. If you are going to be riding in the dark, taking the right precautions to stay safe on the road is incredibly important to ensure your safety. Invest in reflective clothing or reflective patches that you can put onto your backpack, helmet and parts of your bike. Don’t forget to also carry a small headlight to illuminate your path.